Bimac is one of the few foundries in the United States with the capability to produce ceramic mold castings, and was one of the earliest adopters of this process when the firm was founded back in 1959. Ceramic mold castings, also known as the Shaw process, provide an excellent way to see a part prototype without the higher expense and longer lead time accrued by investment casting. Whereas investment castings is limited to 100 pounds, Bimac can do 300 pounds and above using the ceramic mold process.  Bimac’s ISO 9001:2015-certified ceramic mold casting process utilizes an ethyl silicate slurry molding process that employs a mixture of graded refractory fillers, hydrolyzed ethyl silicate, and a liquid catalyst. Each liquid is blended together to form a slurry consistency which is then poured over a pattern and allowed to jell. The resulting mold is then stripped and torched with a high pressure gas torch, then cooled, assembled, and fired prior to pouring. Patterns can be made of various materials such as plaster, wood or metal and can be reused, unlike the expendable wax or plastic. Molds are torched and brought to a red heat in a furnace, after which the molds are allowed to cool prior to assembly for pouring. Depending on the complexity of the project, the Shaw process and the lost wax process may be combined. For example, complex pattern configurations which are difficult or impossible to remove from the mold can be made of wax and placed into the regular pattern. This provides for the regular pattern to be stripped off and the wax to be melted and burned out later. Contact us to learn more about this process. Ounces to 100 lb. Limited to 300 lb.